enhancing HCM in the cloud? We can support you in any and all of your human capital management initiatives. 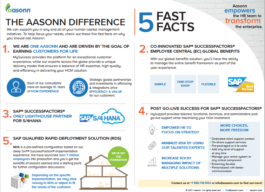 To help focus your needs, check out these five fast facts on why you should call Aasonn.